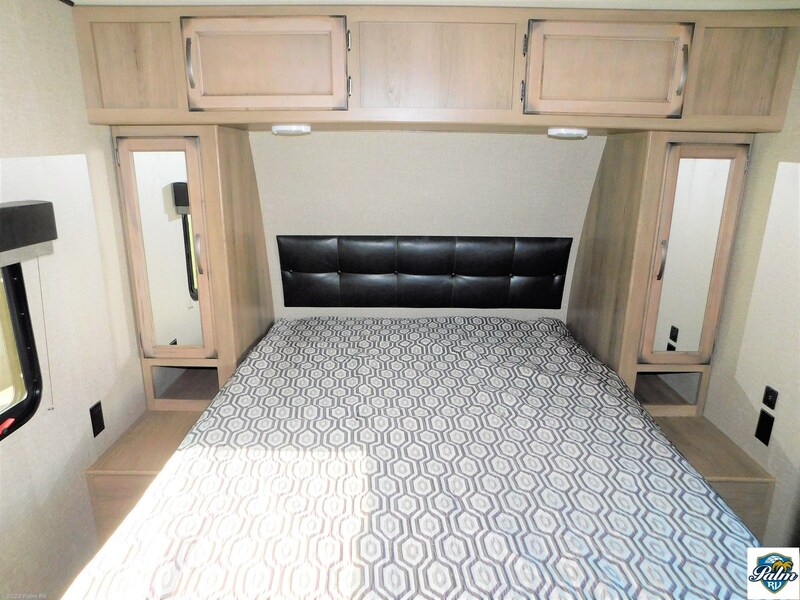 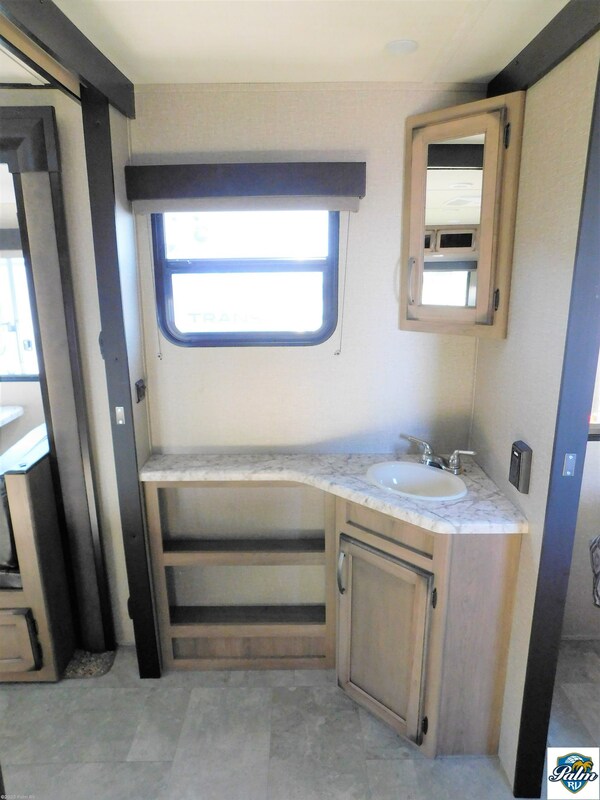 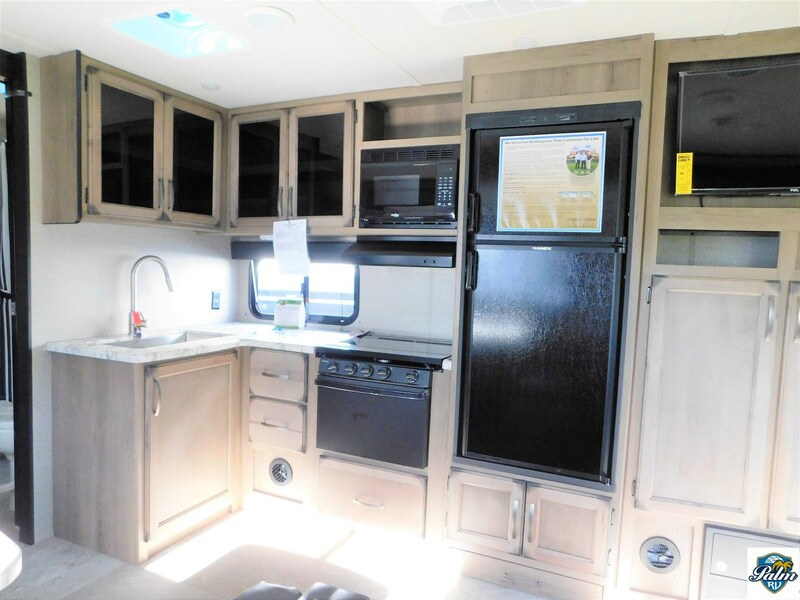 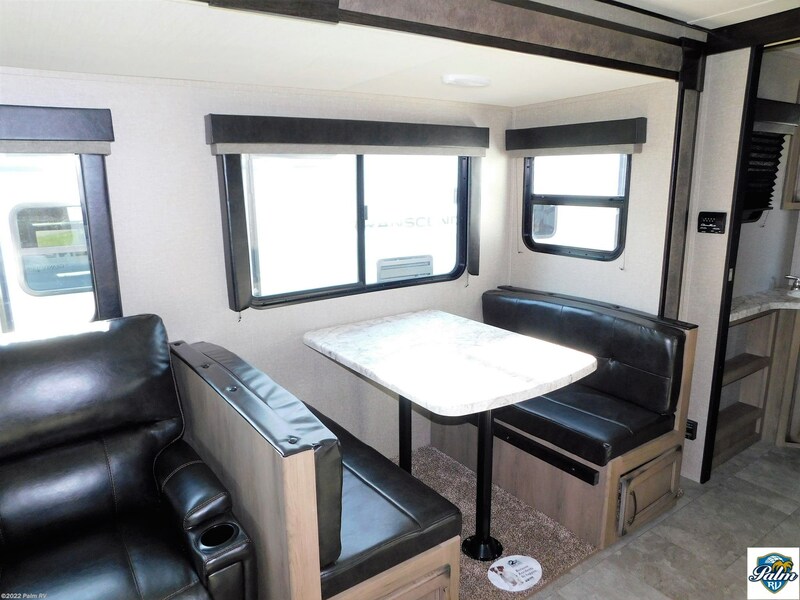 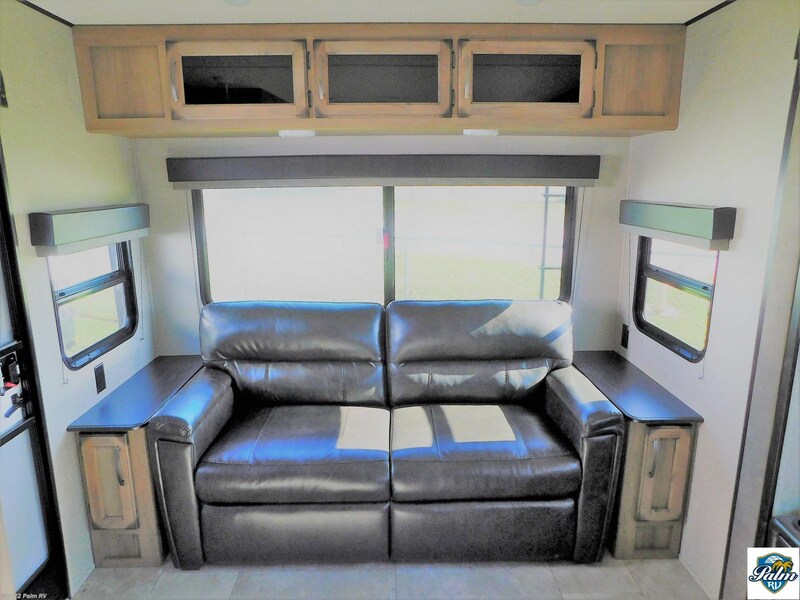 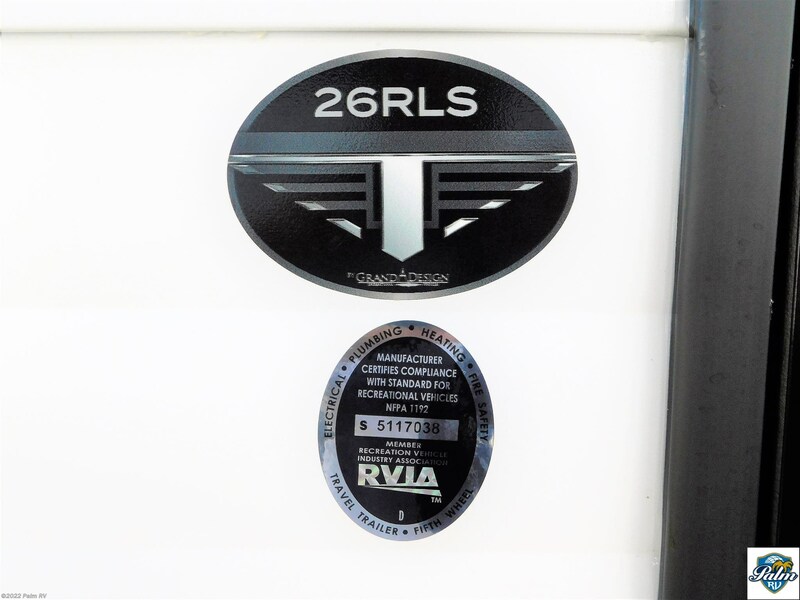 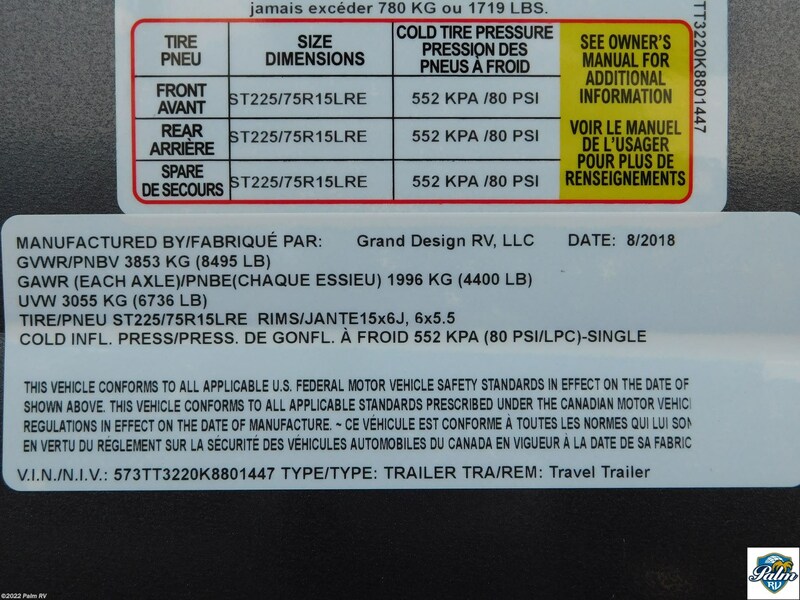 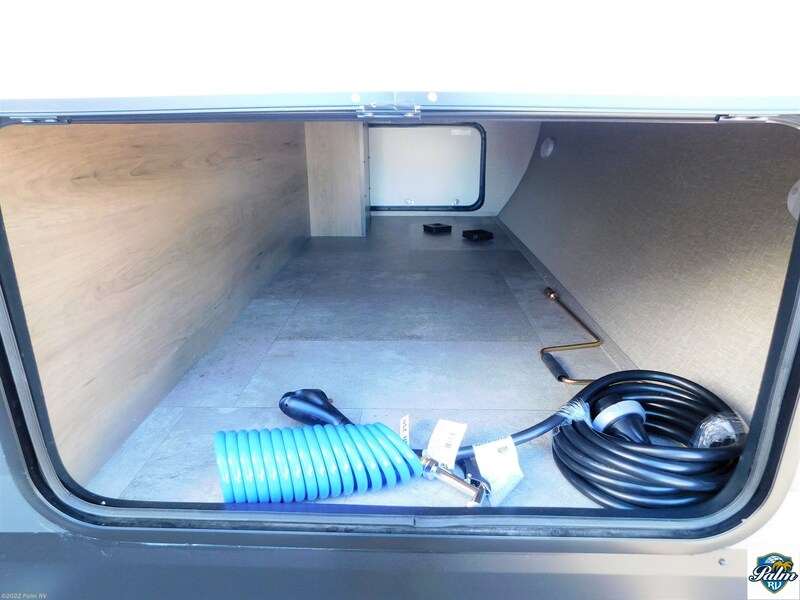 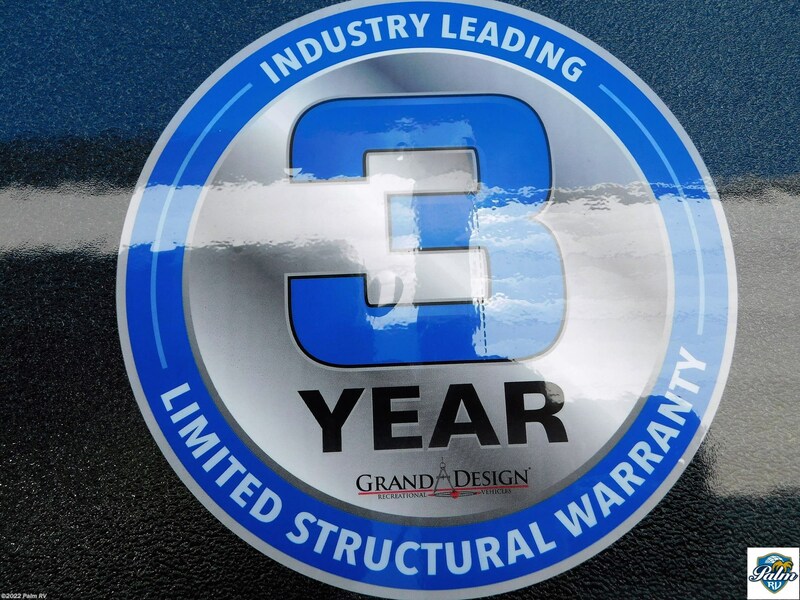 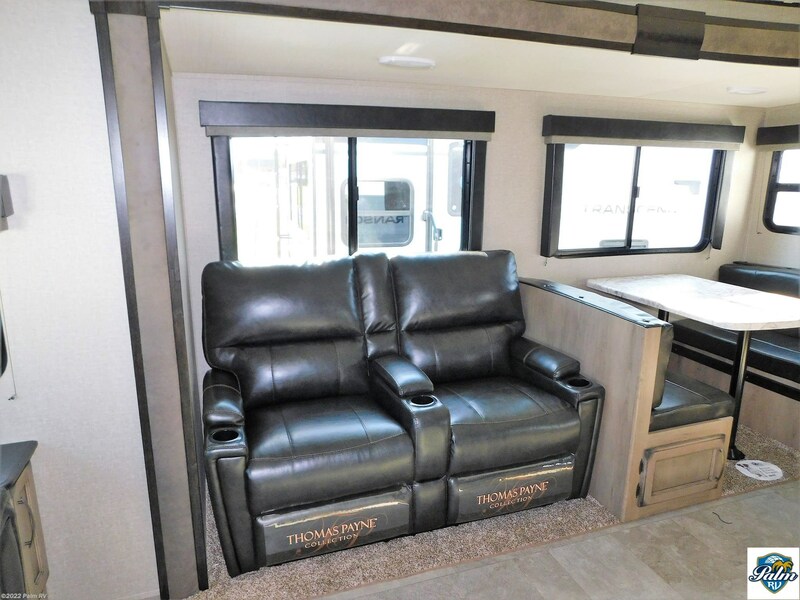 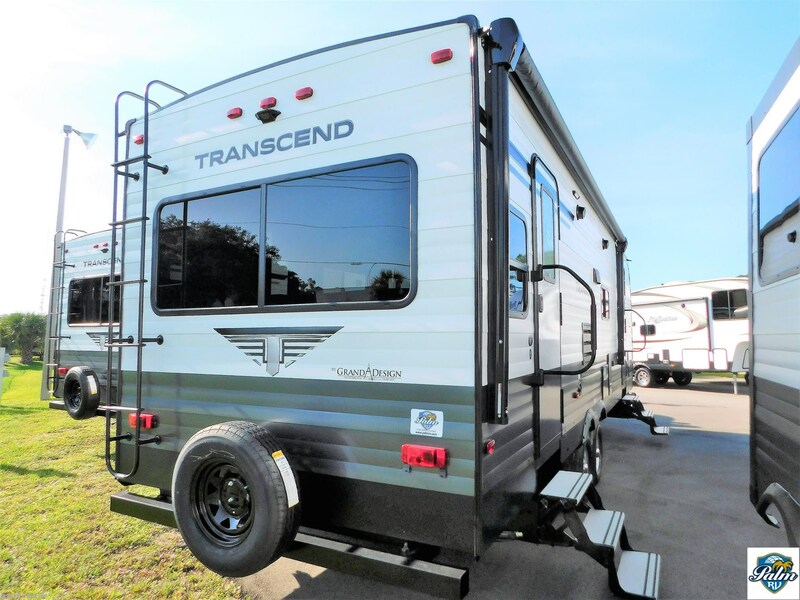 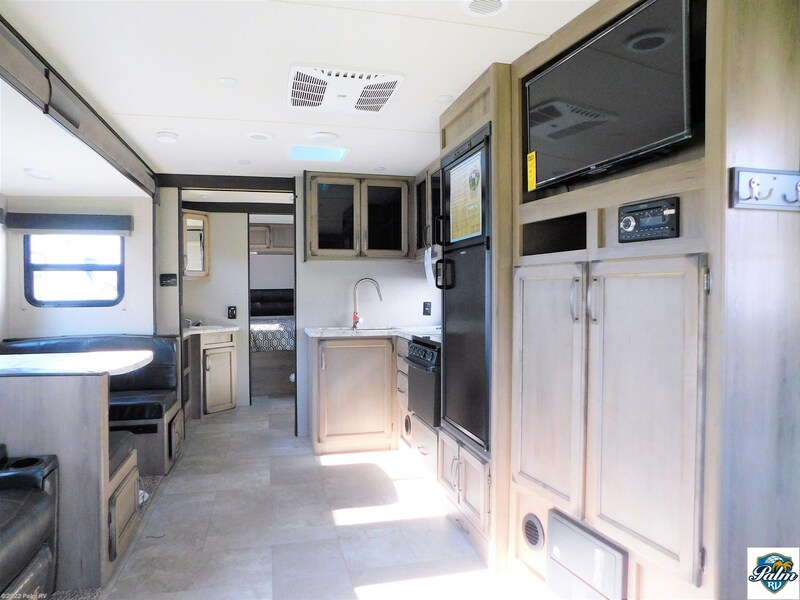 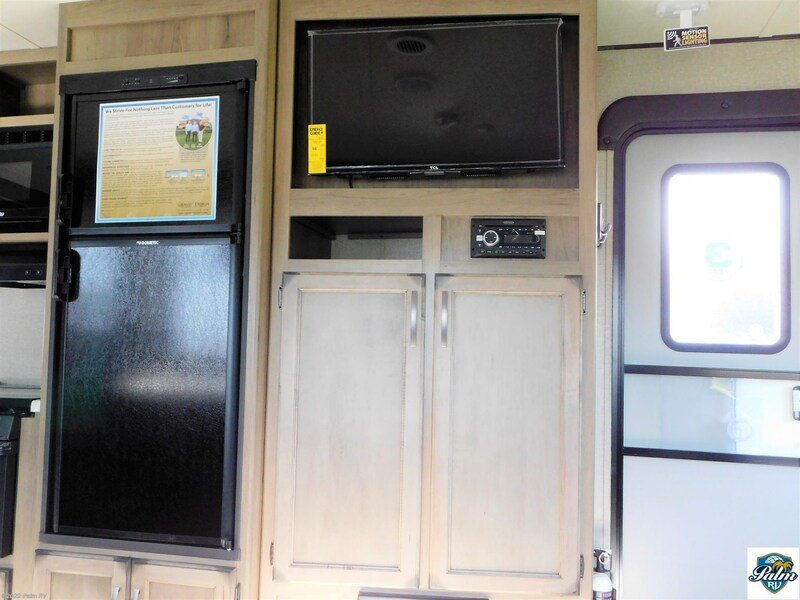 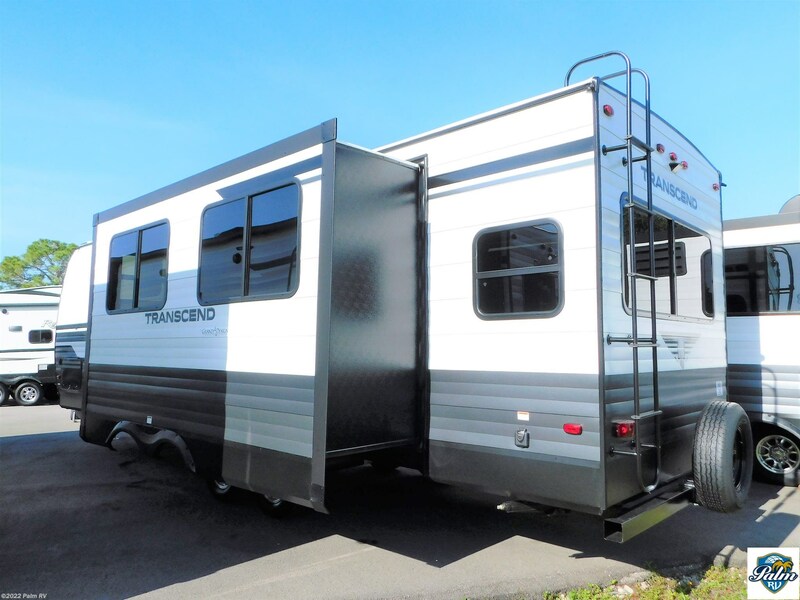 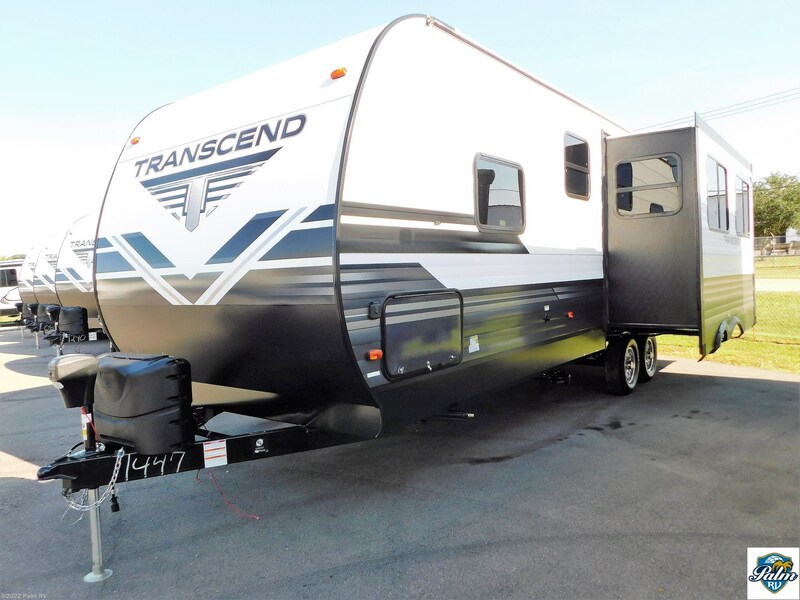 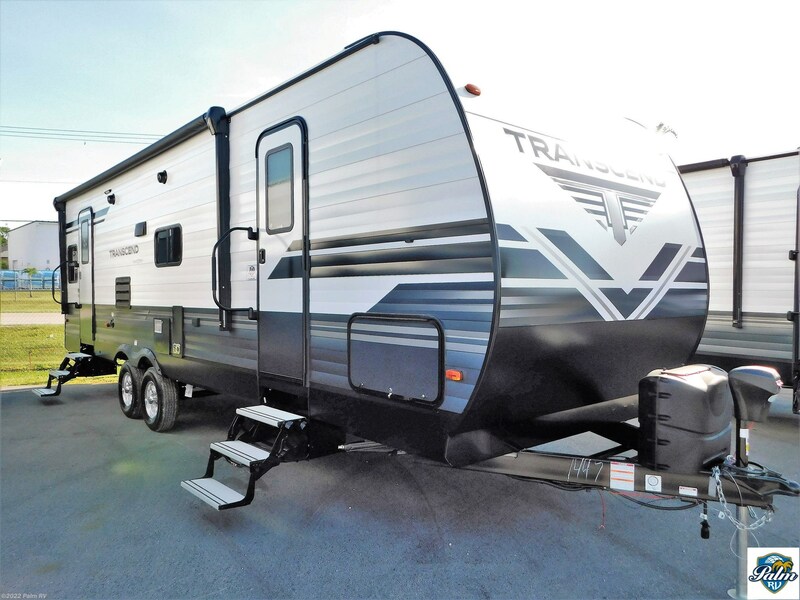 This BRAND NEW 2019 Grand Design Transcend 26RLS features 1 slide, power tongue jack, power awning, exterior speakers, 30 AMP service, detachable power cord with LED light, solar prep, heated and enclosed underbelly with suspended tanks, 15k ducted main A/C, theater seating, HD LED television, pet friendly drawer under refrigerator, high rise faucet, residential cabinet doors, solid wood drawer fronts, deep seated stainless steel sink, double door refrigerator, tri-fold hide-a-bed sofa, residential booth dinette, queen bed, porcelain foot flush toilet, E-Z lift bed storage, and much more! 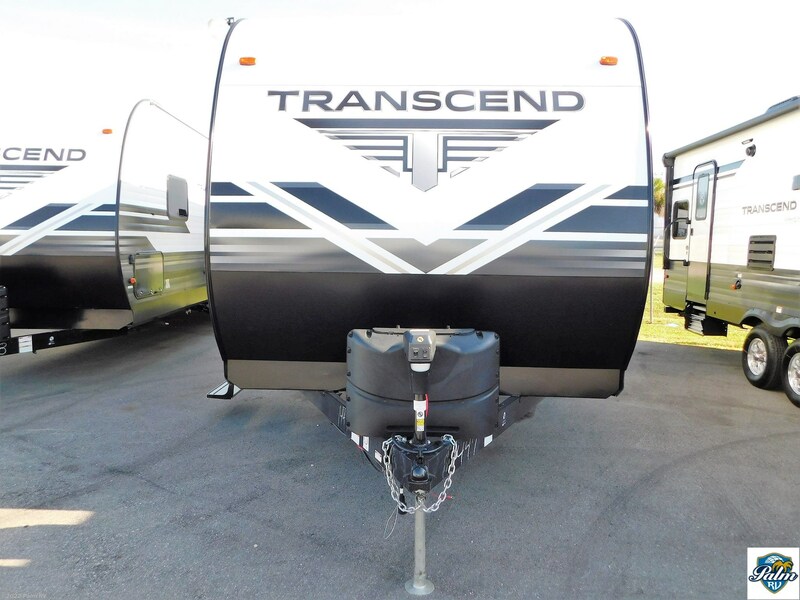 Come and take a look today at Palm RV!!! 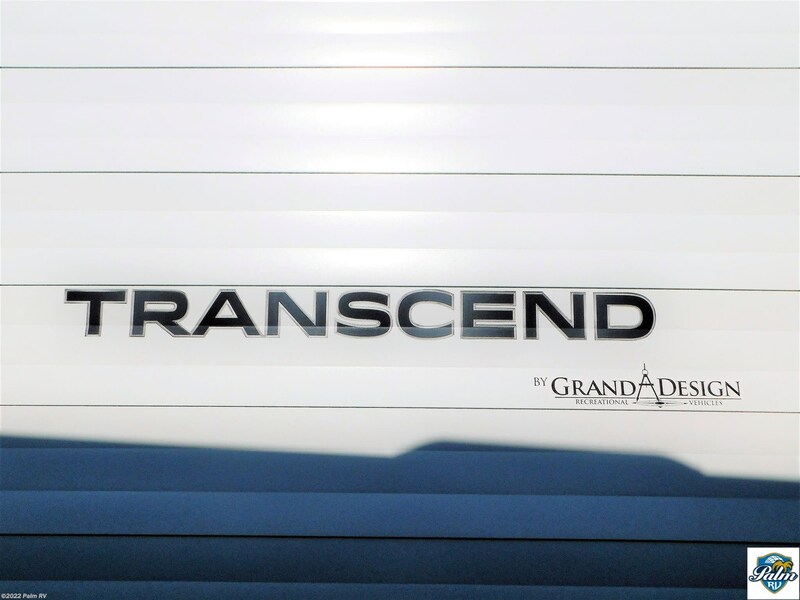 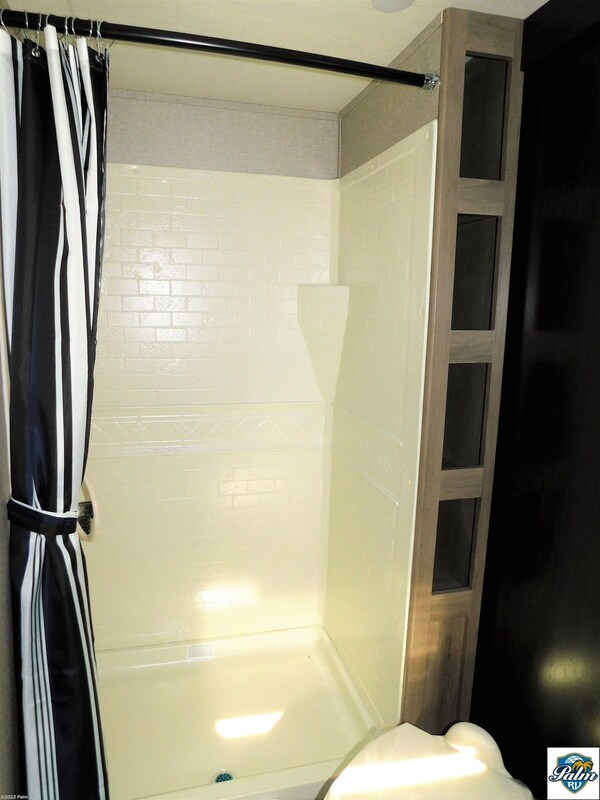 Check out Stock # 02440 - 2019 Grand Design Transcend 26RLS on granddesignsource.com!